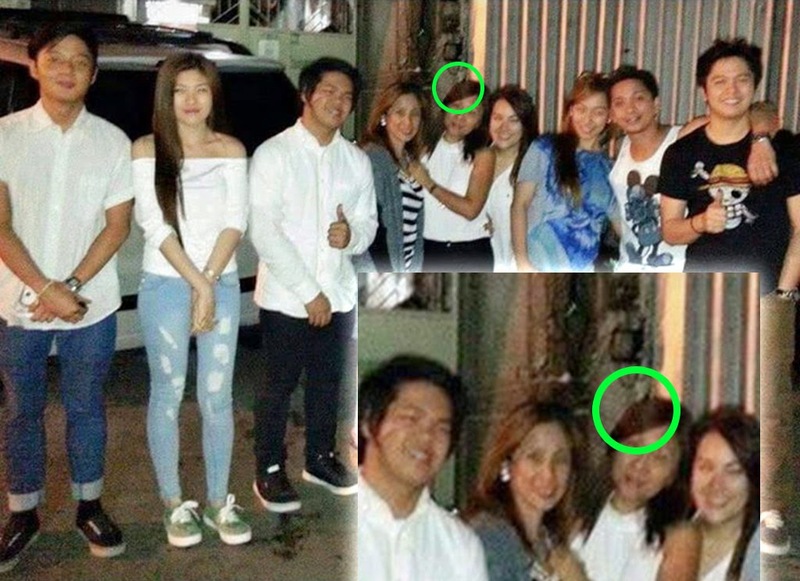 The 'ghost' of Jam Sebastian of the YouTube couple Jamich, who died recently of lung cancer, is shown in a creepy photo kissing his beloved mom. "Look at the shadow of Jam kissing my head shows that he really loves me thank you anak love kita sobra." Post by Maricar Fernando Sebastian. While many (including Barako Newsline) were not able to figure it out, this "sharp-eyed" blogger cracked what the mourning mother was talking about. Focus your eyes on the shadow encircled in green and you'll feel goosebumps. Did you see Jam's very thin face?